Odirile Seageng is an all round creative with a multimedia design background. He pursued his studies in Multimedia design at Tshwane University of Technology, where he obtained his qualification and discovered his passion for limitless creativity. 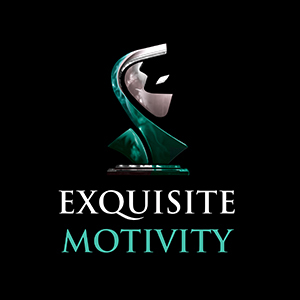 He founded Exquisite Motivity in 2014 and has been doing photography and video professionally for both corporate and commercial clients. His charismatic and friendly nature makes him the ideal creative to share your aspirations with as he is always keen to assist and elevate your vision. Odirile is best described as a passionate, positive ball of energy which never seems to lose its power regardless of circumstances. Bongani Madonsela is a versatile creative with a graphic design background. He attained his qualifications in graphic design while pursuing his studies at the Tshwane University of Technology. It was at this very institution that he realized his passion for design and the amount of influence it has in the world. He has been productively and professionally freelancing and contracting for a wide range of companies and start-ups in order to achieve ground-breaking corporate identity success, from 2015. Bongani is well known for his passion to assist others to realize their mission and vision for their establishments, diligence, and attention to detail. He is also best known for his diverse personality which allows him to connect better with various personalities, he is well spoken, friendly and always looks to the positive side to circumstances. Mr Morris Legoabe, is an experienced news photographer. He developed an interest in photography in 1969 as an experimental photographer (basically an artisan in photography). The interest grew when he was employed as a dark room assistant responsible for processing and printing of photographic films, by a professional photographer. In 2011 he was involved with the Ernest Coal photography exhibition. During 2012 the University of Pretoria, United States embassy and the Swedish embassy offered him the opportunity to coach 18 students in photography. During the years 2013 and 2014, He was honoured to sit on the panel of judges of the press photographer of the year at the invitation of the National Press Club. He quit newspaper work in 1989 but never stopped taking pictures. He joined the corporate world of photography and continues to make history with Exquisite Motivity. Ian Erlwanger began his web development career at an entrepreneurial start-up company in 2014. Using the skills and knowledge he picked up studying Graphics Design at Midrand Graduate Institute he quickly rose to the rank of Senior Web Developer and led a small team of developers up until 2017 when he left to spend a year freelancing. Having developed a variety of websites ranging from blogs to e-commerce platforms, Ian approaches every project with equal parts learned experience and eager enthusiasm at tackling a new challenge.